There are unusual geometric symmetries in this month's FULL MOON chart. The moon is mid-point between Jupiter and Uranus. Directly opposing is a 4 planet stellium (group of planets) in Libra. The stellium is providing new symbols and skills to support the future expansion we are beginning to feel but can't see. 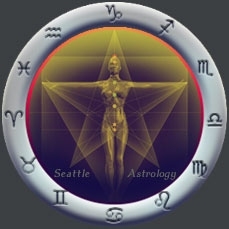 In addition, Pluto and Mars are ideally positioned for creative activity supporting a radical change in the status quo.